As part of a carefully planned combination of general, cosmetic, restorative and surgical dentistry, a full mouth dental reconstruction treatment is a comprehensive approach for patients with severe dental problems. This includes tooth loss, facial muscle distortion, TMJ, infection and abscess, decay, worn teeth from bruxism and gum disease. Therefore, these issues can cause mild or chronic pain in the entire mouth. This approach includes removing all remaining teeth and dental implants placement. Later, a bridge of new teeth is installed to complete the treatment. 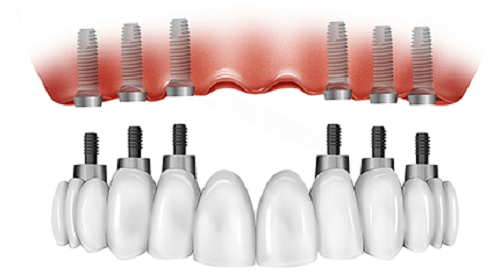 This is called an all-on-four or all-on-six procedure because the new teeth are supported by either four or six dental implants. Replacing a full arch of teeth with dental implants is a delicate procedure. This often requires a number of complementary treatments such as teeth extractions, bone graft, tissue regeneration, plasma, plus a series of dental implants which act as anchors for the new teeth. 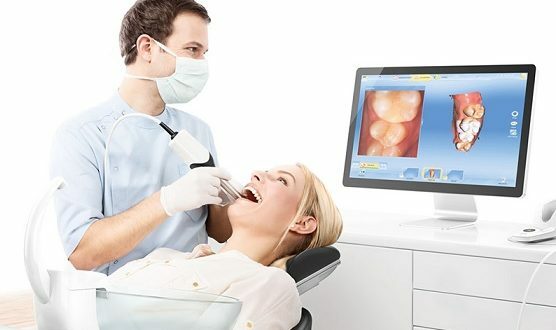 This full mouth dental reconstruction treatment is mostly used when it is not possible to save any remaining natural teeth or all the teeth have already been lost. This may be due to severe infection and gum disease or other serious health problems. Remaining teeth can be restored and rehabilitated individually as long as the roots of the teeth are strong and healthy. Any missing teeth can also be replaced with a dental implant. There is nothing better than a natural tooth to give the correct support to the gums and jaw bone. When a natural tooth can be saved through restorative treatments such as root canal treatment and/or crowns, then this keeps the soft tissue, ligaments, and bone in place. This is a much better approach because there is no invasive manipulation such as extraction, bone grafting or dental implant placement. 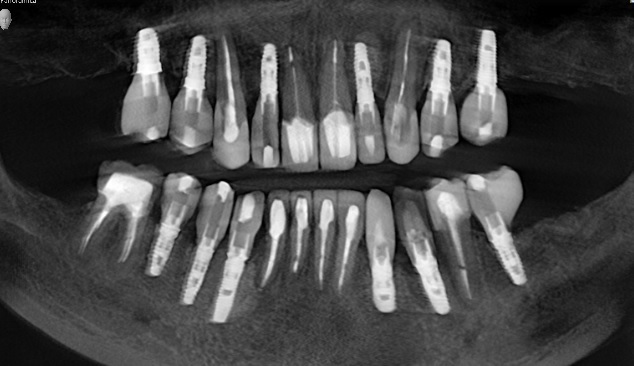 Restoring each tooth individually is a more conservative, less invasive approach which many patients prefer. The aim is to save the remaining natural teeth which enable better oral hygiene. It also gives the possibility to floss between independent teeth. 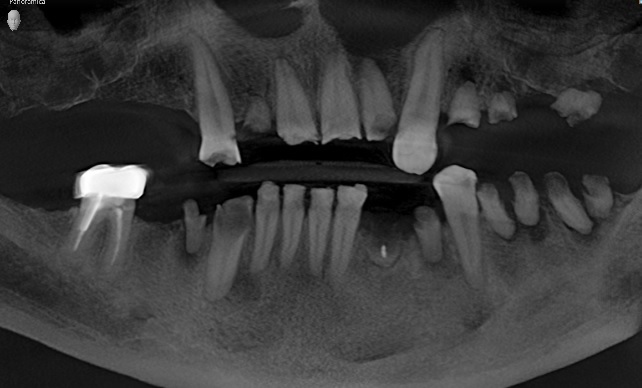 Option one, however, using full arch implants, does not allow this possibility because the new teeth held by dental implants is a solid structure. In other words, a full arch bridge or full arch denture. 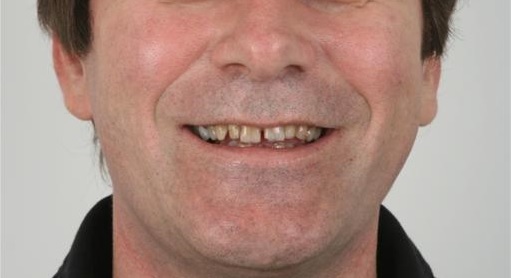 Here’s an example of how teeth can be restored without removing them, but restoring them individually instead. Both options require a minimum of seven to ten day stay in Lima for phase one of treatment. The surgical procedures are performed during this time and we see you regularly to check healing and inflammation. However, it is important to know that dental implants always require two phases of treatment. The first is to place the implants and regenerate bone and tissue where necessary. Dental implants must heal for a minimum of three months before they receive the final teeth. This is typically a three month period which gives time for the bone to grow and regenerate around the threads of the implant, making them firm and solid. This process is called oseo-integration. Stage two happens once oseo-integration is complete when the dental implants are strong enough to receive the biting forces created from chewing. This is when the final teeth are custom-made and can be placed. 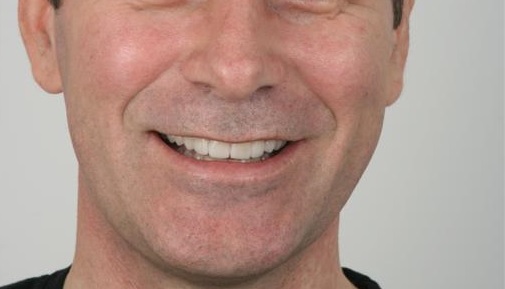 These teeth look and feel exactly like natural teeth and are very strong and very aesthetic. If dental implants and surgeries are not required, then treatment is performed using restorative methods such as inlay restorations, crowns, veneers and perhaps root canal treatments. These procedures are all completed in just a single trip to Lima with no need to return at a later date. Sounds like something you need? Contact us Today!